A superbly crafted turntable with high-resolution Bluetooth playback, integrated phono preamp, high-quality MC system … The Cambridge Audio Alva TT promises a lot. In this article, we clarify whether the ambitious all-round carefree solution can actually do justice to this. 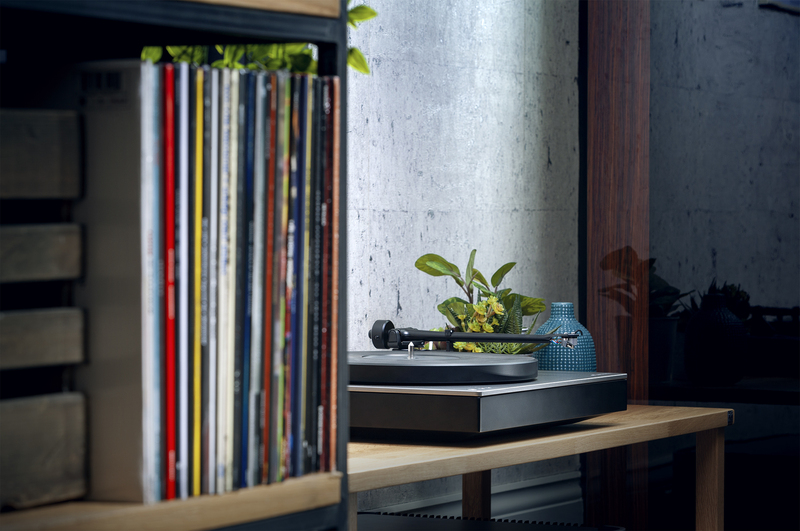 At first glance, the Cambridge Audio Alva TT is an absolutely typically designed record player – frame, plate, tonearm, everything where you would expect it to be. The cabinet design is elegant and simple, with details such as the engraved Cambridge Audio logo and LED-feedback controls underlining this impression. The turntable, made of polyoxymethylene (POM) by the way, has a good weight and also conveys a sense of quality. The diameter is slightly larger than that of a record, but thanks to the beveled edges, the record can be changed easily. A plastic hood to protect against dust is included. So far everything is clear. But there is even more because traditionally the Alva TT doesn’t come along: So here we are dealing with a directly driven turntable, i.e. the movement of the motor is not translated by means of a belt, but acts directly on the turntable. This construction gives the Alva TT a particularly high running smoothness and provides for improved pitch stability, which is also guaranteed in the long run, since no inaccuracies can creep in due to possible belt wear. This would actually cover the classic range of functions of a turntable. But, so much for the topic traditional, for the Alva TT is not yet finished here. To make the setup even easier, the developers at Cambridge Audio have given their anniversary turntable an integrated and perfectly tuned phono preamplifier, which builds on the in-house preamplifier developments. 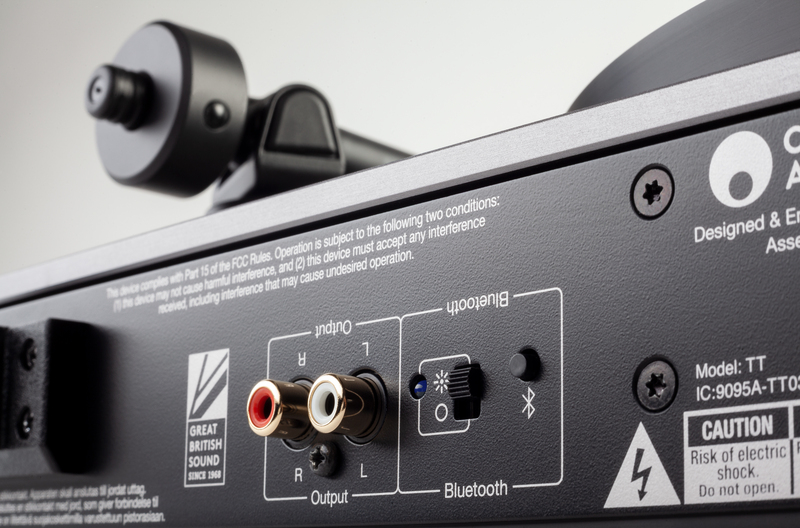 The Alva TT is therefore connected directly to the standard cinch input of the full amplifier – or you pair the turntable with a Bluetooth receiver and get the vinyl sound wirelessly directly to the system or headphones. This works, provided that the receiver is also equipped accordingly, thanks to aptX HD support even up to a resolution of 24 bits and 48 kHz and represents a welcome alternative if, for example, it has to be a little quieter. On the occasion of its 50th anniversary, Cambridge Audio has launched the Edge series, a whole series of high-quality components. The Alva TT also joins the ranks. It offers somewhat unusual equipment for its guild, but due to the Plug & Play concept as well as the Bluetooth module, it has really unique selling points and will certainly find its audience.